Our second rider journals ‘signing’ is 21-year-old George Jary. George hails from south London. 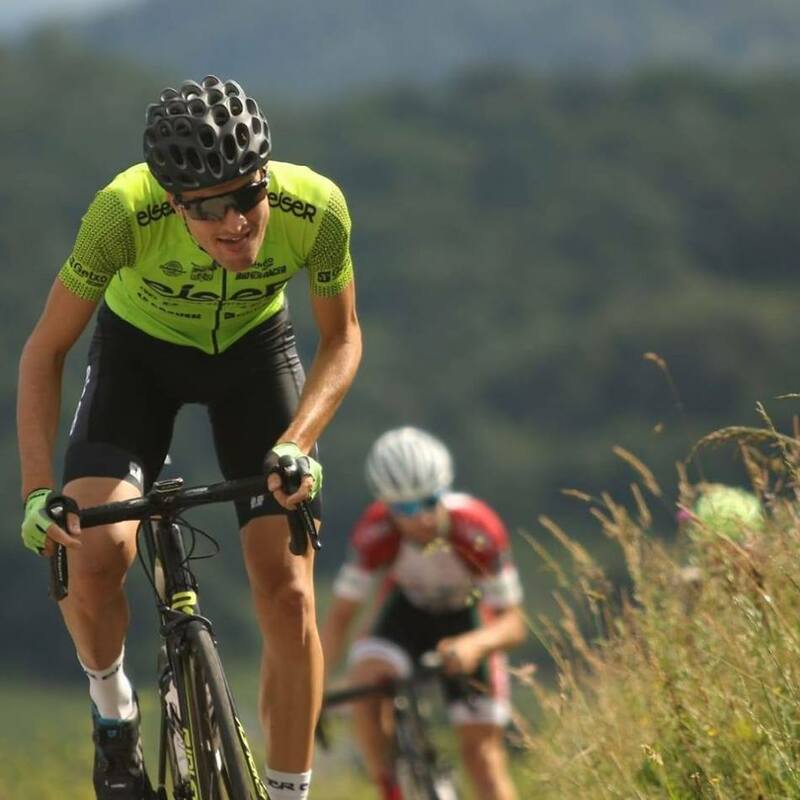 He got into cycling through Velo Club Londres, a club that has had many a promising rider come through its ranks, including Ethan Hayter, Fred Wright and Jacob Vaughan. Supported by the Dave Rayner Fund, George is now in his second season with the under-23 Basque team Eiser Hirumet. In fact, he’s been based out in Spain since 2015, more of which you’ll hear about in his first journal entry. He may be perfectly at home in Spain now, but he won’t be without British company this season. His teammates will include three other Brits: former Team Wiggins rider Ashley Dennis, Zappi graduate Lewis Hartley, and fellow Dave Rayner Fund rider Max Williamson. He had a challenging time last year, with health issues forcing him to take time out. So he is eager to return to form this season and prove he’s worthy of a professional contract when he leaves the under-23 ranks. Durango, Pais Vasco. Northern Spain. My team are based in Durango, I’ll be in the team flat along with the other foreign riders. During the season it works well; lots of riders and team staff live nearby, our service course is just round the corner and there are always groups to ride with. Allrounder I guess. At 6’2 and 69kg I wouldn’t call myself a pure climber but my best rides have come in longer races with several climbs. The Basque races suit me best because although the climbs reduce the bunch, the finishes are usually flat. My strategy usually is to try and survive the final climb and see what I can do in a reduced bunch sprint. 4th Goierriko Itzulia (U23), Urretxu, Gipuzkoa Pais Vasco, March 2017. My best result was part of a series of races I entered on my own. In 2017, on weekends when my team didn’t have a race planned or I wasn’t selected, I would head north to race in the Basque Country. I enjoyed these occasions, I could race for myself with no pressure. In the first of these races we went up a 9km climb twice. This reduced the field and left 15 of us to sprint into the town of Urretxu. For a moment thought I’d won, but I’d opened my sprint up too early and finished 4th. I remember strolling through the town before the race and getting a coffee with some old teammates. Then, when they climbed into their team caravan to talk race tactics, I got changed on a park bench and asked a local to pin the numbers on my skinsuit. This laidback, old school race prep was a far cry from what I had become used to at the Copa Espana and stage races, but I enjoyed it. 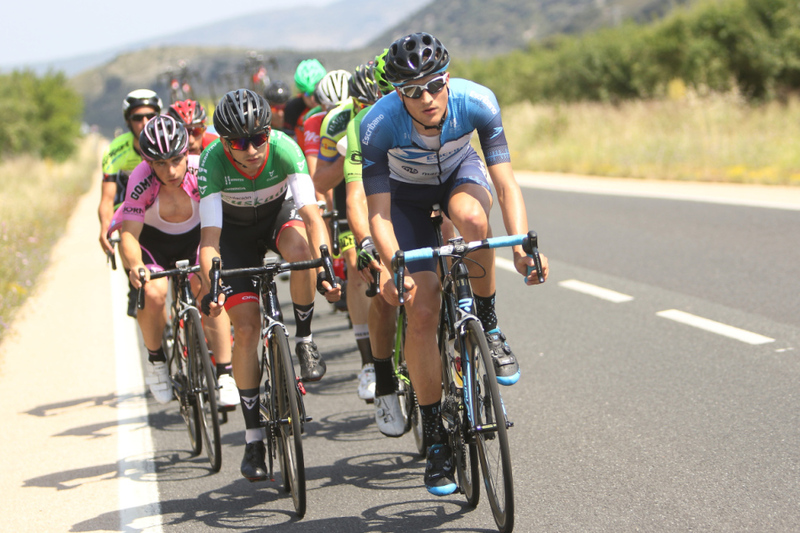 Having played a team role for my first two seasons in Spain, my best rides have seen me end up minutes behind the winner. In 2016 and 2017, while riding for Caja Rural and Escribano, any races I wasn’t told to get in the day’s early breakaway I was put on the front to chase it. My work positioning my teammates before climbs, stopping to give a teammate a wheel after a puncture and endless trips back to the team car for bottles taught me a lot. It wasn’t till signing for Eiser Hirumet last season till I really focused on getting results for myself. At Caja Rural especially, I thought of myself as doing an “apprenticeship in cycling”. I was well aware of the fact that, should I make it as a professional, these are the sort of things I’ll be expected to know how to do. I feel I played a big part in Escribano being ranked the best U23 team in Spain and managing 3rd in the team classification of the Copa Espana. Over the two seasons I played a small part in some big results for teammates, 6 of whom have since earned places in Pro Continental teams. Riders whose footsteps I hope to follow in. The 24th of February, the first round of the Copa Espana; Don Benito in Badajoz, Extremadura. From March to May my calendar will be a mix of one-day Basque races and the Copa Espana. After that, the stage races start and the team has trips to France and Belgium planned. After missing most of last season, I’d like to get back to the level I was riding at in 2017.